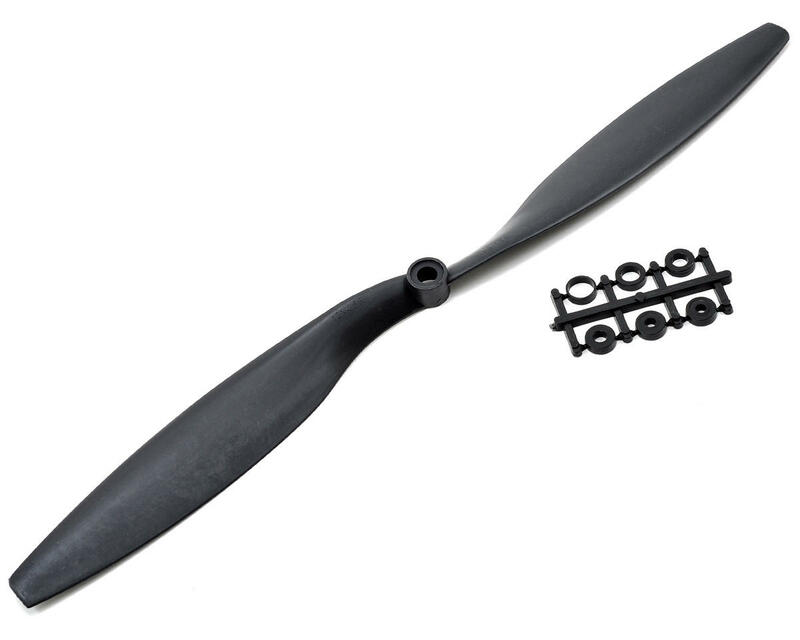 This is a GemFan 12x4.5R Reverse Rotation Carbon Filled Propeller. GemFan produces some of the finest Multi-Rotor propellers available. 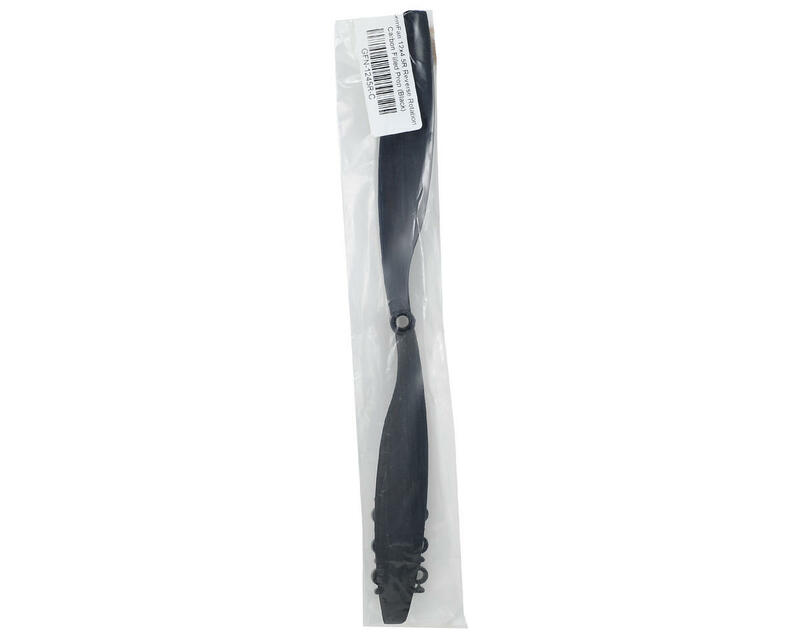 The High-Strength props are made from Nylon with Carbon Fiber fill for an extremely stiff blade that will not deform under load. These props are about 10 times stiffer than the standard GemFan Multi-Rotor props. "Reverse" rotation is counterclockwise. The 12x4.5 props have a 6mm hole drilled in the front side of the hub, and a 9.5mm hole on the back side of the hub to accept a prop shaft adapter ring. Also included with the prop is a set of five 9.5mm OD adapter rings that step down the center hole of the prop to allow it fit on 3mm, 4mm, 5mm, 6mm or 8mm motor shafts. If you have a larger threaded shaft on your prop adapter, the center hole can be reamed out to a larger size as needed.